Apps like Hutch help visualize the professionally curated possibilities. Virtual interior design, or e-design, is transforming the way people are personalizing their spaces. While e-design services do demand a bit more upfront legwork from the client than the traditional designer-client relationship, the biggest benefit to going the e-design route makes up for it: accessing pro design tips without breaking the bank. Virtual design services are typically offered on a per-room basis. You begin the process by submitting details about your personal style and how the room(s) will be used, the budget, room measurements, and photos of the space via an online questionnaire. The e-designer will then email you directly to gather more specifics about your tastes (preferred colors, textiles, furniture profiles, etc.). You’ll then be presented with a style board showing design ideas for your space, typically using real pictures or life-like renderings. Once the style board is refined and approved, the e-designer will upload everything to a virtual room program, giving you a complete picture of the final design. How many times an e-designer will re-create style boards and floor plans depends on the company and the type of e-design package you purchase. But one feature that’s universal with virtual interior design: once a design board and floor plan are determined, the designer will send you an itemized shopping list, complete with web links for easy online shopping. Within six weeks of ordering, you’ll receive a scaled furniture plan, fabric swatches, paint chips, and building material samples, plus detailed info about the specific pieces selected for the project. Every process is led by Instant Space founder Betsy Burnham. Headed up by interior design guru Windsor Smith, Room in a Box services include a custom room illustration, furnishings plan and storyboard, fabric and paint samples, and details about where to purchase each item, usually delivered in four weeks. Or purchase items from pre-determined room plans through the companion service, Room in a Flash. Apply one of Hutch’s curated room style filters (cleverly named Sedona, Denim Dudes, Float Naked, etc.) to an uploaded room photo, and within 24 hours you’ll receive a virtual design—with everything from wall colors to accessories. 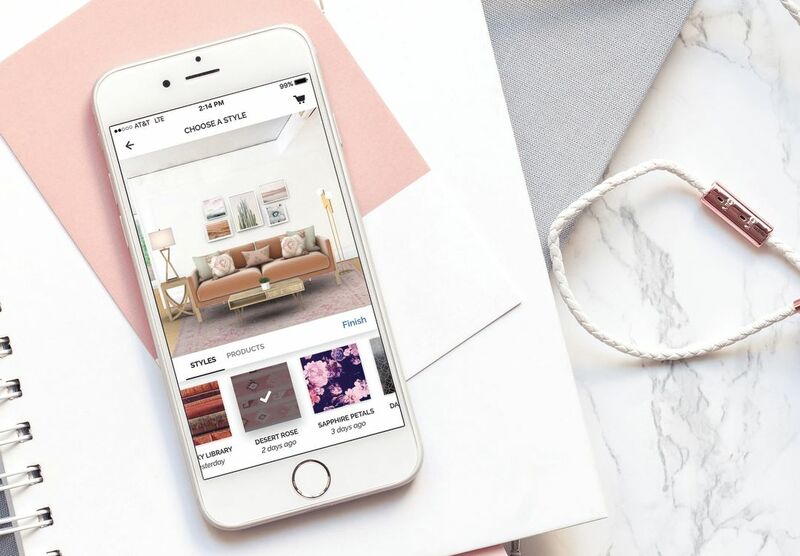 You can then buy the pieces you want—from brands like Anthropologie, Wayfair, and West Elm—in one transaction through Hutch.